Fernando graduated in Spain and worked for a number of years in small animal practice and research both in Spain and the UK. He did an internship and then a residency in anaesthesia and analgesia at the University of Bristol. He obtained the Certificate in Veterinary Anaesthesia by the RCVS in 2007 and became a European Diplomate in Veterinary Anaesthesia and Analgesia in 2011 (ECVAA). • Local anaesthetics: Epidural and spinal anaesthesia, development of novel technical approaches and anaesthetic combinations, electrical and ultrasonographic nerves location, perineural and wound soaking catheters. • Analgesia in chronic and oncological pain, including interventional pain management. • Intensive care, especially ventilation (physiology, practical aspects, uses in anaesthesia and ICU, and equipment). Diego graduated from the University of Murcia (Spain) in 2007. After a rotatory internship in small animals at the Veterinary Teaching Hospital of the University of Murcia he was granted with a junior scholarship in Veterinary Anaesthesia and Critical Care at the same institution. He moved in 2012 to Belgium to follow an European residency programme in Veterinary Anaesthesia and Critical Care at the University of Ghent. Following this, he was a clinical anaesthetist at the Queen Mother Hospital for Animals of the Royal Veterinary College, University of London. 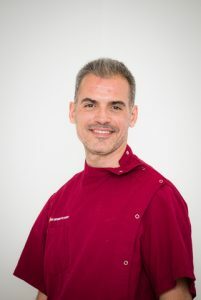 Diego completed his PhD about the intramuscular use of Alfaxalone in cats in 2016 and is working towards the title of European Diplomate in Veterinary Anaesthesia and Analgesia and Critical Care. In May 2017, Diego joined the University of Sydney as Senior Veterinary Specialist in Veterinary Anaesthesia and Analgesia. Mara graduated from Murdoch University in 2007. Following a brief stint in mixed practice in northeastern Victoria, she completed a rotating internship at Charles Sturt University in Wagga Wagga. This led to a residency in veterinary anaesthesia and analgesia at Murdoch University, which was completed in 2013. She stayed on at Murdoch as an anaesthesia registrar before moving to Sydney to join the UVTHS in February 2017. She is a member of the Veterinary Anaesthesia Chapter of the Australian and New Zealand College of Veterinary Scientists. 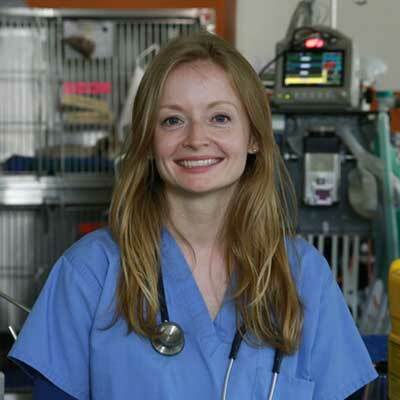 Mara enjoys all aspects of veterinary anaesthesia and analgesia, but has a particular interest in the cardiovascular effects of different drugs used during general anaesthesia. She also enjoys working with students and helping them gain practical skills and experience in anaesthesia during the final parts of their veterinary degree. Donna graduated from Sydney University. After graduation she worked in general and emergency practice in Australia, UK and Canada. 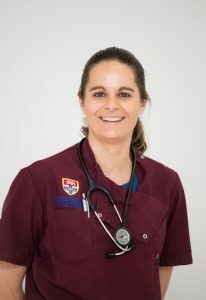 On returning to Australia in 2011 Donna complete her Masters in Veterinary Studies at Murdoch University and worked as an Emergency and Critical Care Veterinarian at a specialist hospital for several years. 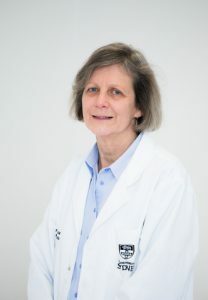 She then moved into Anaesthesia and has since become a Member of the Australian and New Zealand College of Veterinary Scientists Anaesthesia and Critical Care chapter. She has started her Residency in Anaesthesia at the University in 2015. Professor Vanessa Barrs is Head of Small Animal Medicine at the University of Sydney and is a registered Specialist in Feline Medicine. Vanessa has directed the busy feline referral service at the Valentine Charlton Cat Centre since 2004 and loves nothing more than helping sick cats get better. She has particular expertise in respiratory and endocrine disease of cats and is an internationally renowned infectious diseases researcher. Her research is focused on infectious pathogens at the human-animal interface, including Aspergillus fungal infections in humans, cats, dogs and birds; parasitic diseases including lungworm and toxoplasmosis and parvoviruses of cats and dogs. Vanessa is President of the International Society of Companion Animal Infectious Diseases and is Scientific Editor for The Veterinary Journal. Vanessa lectures frequently to veterinarians nationally and internationally and has authored over 90 refereed publications and book chapters. Christine graduated from the Justus-Liebig University Giessen in Germany in 2003. She then started an internship and a residency of the European College of Veterinary Internal Medicine (ECVIM) at Free University Berlin, Germany. During her residency she finished a doctoral thesis about immune mediated haemolytic anaemia in dogs. In 2009 she went to a private practice before returning to Justus-Liebig University in 2011 as a clinical instructor/supervisor. 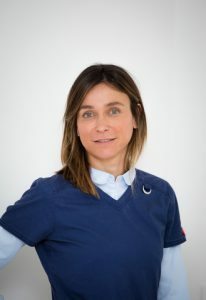 In 2010 Christine became a specialist of internal medicine for small and companion animals and since 2012, she is a Diplomate of the European College of Veterinary Internal Medicine (ECVIM-CA). She joined Sydney University in April 2013. She is very passionate about dogs and consults in the canine medicine referral service. Her main research interests are endocrinology and haematology. Julia Beatty’s career has been devoted to improving the health of cats. Jules graduated from the Royal Veterinary College, London and worked for the RSPCA before completing a PhD on feline immunodeficiency virus at the University of Glasgow. She is an RCVS registered Specialist in Feline Medicine and is currently Professor of Feline Medicine. She works with a team of residents and interns on the feline medicine service at the Valentine Charlton Cat Centre. In addition to her work in the clinic, Jules heads a team of clinical researchers developing new treatments and prevention strategies for infections and other diseases of our pets. A major goal is to identify cancer-causing viruses with the long term aim of developing vaccines against some cancers for pets. Her group’s research is published widely and she has contributed to many text books. 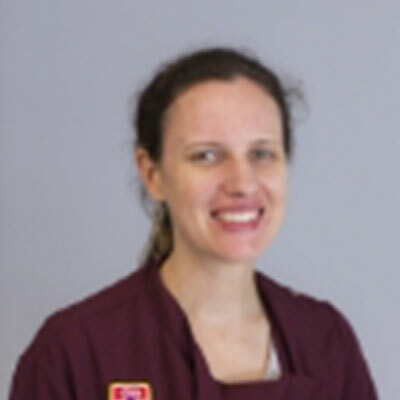 Lara graduated from the University of Sydney in 2004 and initially worked in feline and general small animal practice in Brisbane and Canberra. She has completed internships in small animal/emergency medicine at the Animal Referral Hospital, Sydney and the University of Bristol, UK. In 2008 she completed Australian and New Zealand College of Veterinary Scientists membership examinations in feline medicine. Lara commenced an International Cat Care sponsored residency in small animal medicine in 2010 at the University of Bristol. She returned home to Australia in 2013 and completed the European College of Veterinary Internal Medicine specialist examinations in 2015. Lara has always been fascinated by all things feline including endocrine, urinary tract and geriatric diseases of cats. Amanda grew up in North Queensland and graduated from University of Queensland with Bachelor of Veterinary Science and first class honours in 2007. Following graduation, she completed a rotating small animal internship at Veterinary Specialist Services in Brisbane and subsequently worked in several small animal first opinion practices in the Brisbane area. She obtained her membership to the Australian and New Zealand College of Veterinary Scientist in Small Animal medicine in 2012. In 2013, Amanda commenced a 3 year clinical residency training programme and Master’s degree in small animal medicine at the University of Sydney under the supervision of Dr Peter Bennett and Professor Vanessa Barrs. In 2018, Amanda successfully completed fellowship examinations to become a Fellow of the Australian and New Zealand College of Veterinary Scientist in Small Animal medicine. Amanda enjoys all aspects of small animal medicine specifically canine medicine and neurological disease. Liz graduated from the University of Sydney in 2010. She started her veterinary career in general practice, working with both large and small animals on the mid-north coast before moving into small animals only in Tamworth. Liz has completed a Masters of Veterinary Studies in Small Animal Practice at Murdoch University and achieved Membership to the Small Animal Medicine Chapter of the Australian and New Zealand College of Veterinary Scientists in 2016. After undertaking a rotating internship in Sydney, Liz joined our team in 2017 as a resident in Small Animal Medicine, under the supervision of Dr Christine Griebsch and Dr Peter Bennett. Liz is particularly interested in infectious diseases and neurology. She is the proud owner of two gorgeous and very spoilt Labradors, Daphne and Wilson. Dr Bordicchia is a graduate of Camerino University in Italy. After a few years of experience working with horses, he started developing his interest in small animal medicine. He was granted a scholarship to spend 6 months at the Eccole Veterinarie in Toulouse before completing a one –year internship in Sweden. On his return to Italy he worked in several private practices before setting up his own hospital in partnership with 3 other colleagues. He worked in his own clinic for 8 years during which he completed an international master’ s degree in diagnostic imaging. Matteo is enjoying life in Sydney and in his spare time he loves cooking, travelling and spending time with his Dachshund Trilly. Professor Johnson returned to The University of Sydney as a Clinical Professor and Director of Orthopaedics. 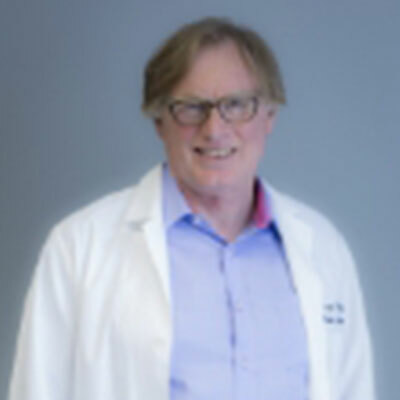 He has specialist qualifications in surgery as a Diplomate of American College of Veterinary Surgeons, a Diplomate of European College of Veterinary Surgery, as well as being a Fellow of Australian College of Veterinary Scientists. Nina graduated from The University of Sydney in 2006 and began her professional career working in mixed practice. Soon after Nina moved to the US, New York to pursue further training by completing a rotating internship before returning to Sydney for a surgical internship program. Following completion of her second internship Nina continued to work as an emergency veterinarian in different Sydney referral hospitals before packing her bags again, his time bound for the UK where she completed a residency training in small animal surgery at the University of Liverpool. Nina has joined the University Small Animal Teaching Hospital’s surgery team in March 2016 as the senior surgical registrar. Nina’s interests are trauma management, skin reconstruction, wound management and neurological diseases. In her free time Nina enjoys spending time with her young family, going on outdoor adventures and also has a cat, Henry who she rescued during her New York internship and who now happily lives in Australia. Laurencie graduated from the University of Nantes, France in 2006. She then completed an rotational internship at the University of Maison-Alfort in Paris, followed by a surgical internship at the University of Lyon. In 2008, she moved to Belgium where she completed a residency in Small Animal Surgery at the University of Liège. In 2010, she obtained a Master Degree in Veterinary Sciences. After her residency, she worked as a Lecturer in Small Animal Surgery at the University of Liège. In February 2013, she was admitted as a Diplomate of the European College of Veterinary Surgeons. In January 2014, she moved to Sydney and started working at the UVTHS where she enjoys being involved in both undergraduate and graduate surgical training. Her clinical interests include endoscopic surgery (laparoscopy, thoracoscopy, arthroscopy) and urogenital surgery. Her research interests focus on the application of PRP (Platelet Rich Plasma) and Stem Cells to repair and regenerate damaged tissues. Rui graduated from the University of UTAD in Portugal in 2003. He then moved to England to work as a small animal general practitioner for 6 years. He continued up north and did his rotating internship followed by an ECVS-approved surgical residency at the University of Glasgow, in Scotland. After his residency, Rui worked in a large private referral hospital in London for 3 years, covering Orthopaedics and Soft Tissue surgery. Outside work, he enjoys travelling, cycling and surfing. 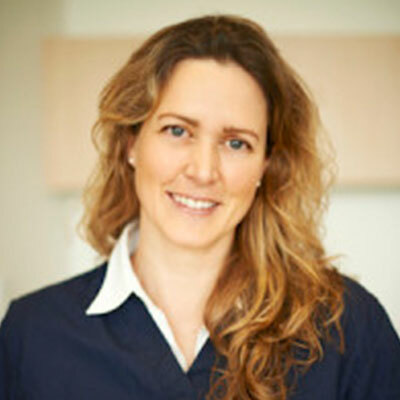 Rachel graduated from the University of Sydney in 2009 and worked in private practice for 3 and a ½ years at various clinics in Sydney including the RSPCA Yagoona. She then started a rotating internship at the University of Sydney, then a surgical internship before starting a surgical residency. She completed her memberships in small animal surgery in 2014, and completed a post graduate certificate in veterinary studies in 2015. Rachel has also been involved in a clinical study with Dr Katja Voss involving a GAITrite pressure mat. Her spare time is mostly spent with her moggy, Prince. 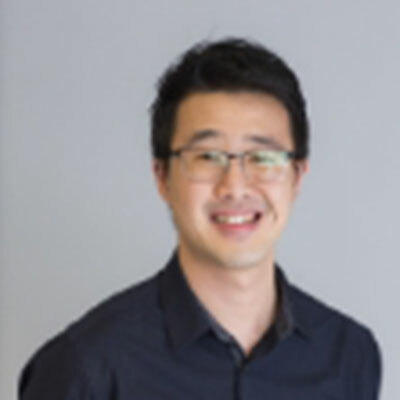 Jason originally grew up in Singapore and graduated from the University of Sydney in 2014 with first class honours and the University Medal. 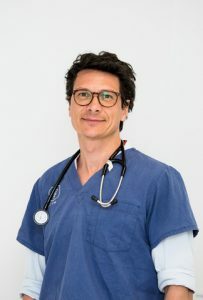 Upon graduation, he started his career in small animal general practice in coastal South Australia before moving to Queensland, where he completed a rotating and surgical internship with the Veterinary Specialist Services team in Gold Coast and Brisbane. Jason attained Membership to the Small Animal Surgery chapter of the Australian and New Zealand College of Veterinary Scientists in 2018 and was also awarded the Paul Gotis-Graham Award. He has since returned to his alma mater where he is undertaking a clinical Masters degree and residency program in small animal surgery. Jason is passionate in all areas of veterinary surgery especially in orthopaedics, oncologic surgery and trauma management. Outside of work, Jason is an ardent supporter of Arsenal Football Club and is accompanied by his fluffy smoochy cat, Tofu and mischievous dog, Popcorn. 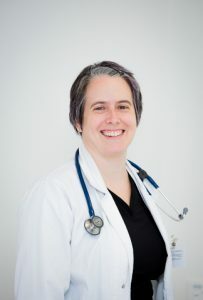 Dr Beth McDonald is a highly qualified and experienced Veterinary Dermatologist. 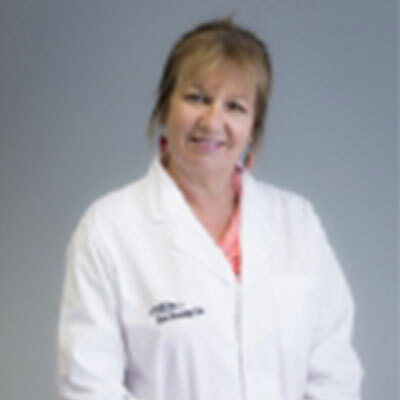 She holds many qualifications, including: BVSc (Hons) 1988; Master in Veterinary Studies 1993; Member, ANZCVSc in Small Animal Medicine,1994; Diplomate of the American College of Veterinary Dermatology 1998 and has been a registered Specialist in Veterinary Dermatology for many years. She enjoys the challenges of clinical dermatology and supports education of both undergraduates and practicing veterinarians. 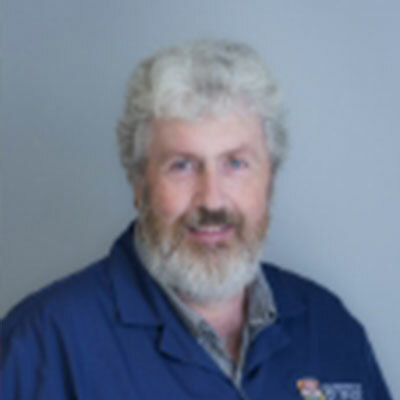 Dr McDonald has particular interests in the management of allergic dermatitis in the dog and cat; responsible use of antibiotics; autoimmune skin disease and management of diseases in our geriatric pets! Dr McDonald and her technician, Vokina Ng offer a compassionate and caring service to the community and their pets. 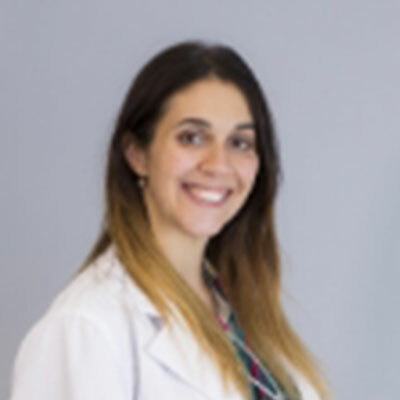 Dr Nicola Martinez graduated from the University of Bristol in the U.K. in 2007 and worked in small animal general practice for 10 years. She has worked in a mix of private veterinary clinics as well as spending time at an RSPCA veterinary hospital. She has always had an interest in dermatology so now she works part time alongside Dr Beth McDonald as a dermatology intern. She is really enjoying her time working in dermatology and hopes to pursue further training to eventually become a specialist. Dr Makara earned his veterinary degree at the University of La Plata, Argentina. In January 2005, he began a radiology internship with Ross University, School of Veterinary Medicine, under the guidance and direction of Dr. Joe Morgan where a significant part of his responsibilities included reading radiographs and performing ultrasound examinations. He then moved to the University of Zurich in Switzerland where he completed a residency program in diagnostic imaging and passed his certification exams for the European College of Veterinary Diagnostic Imaging in March 2010. Following this he was promoted to Assistant Professor at the University of Zurich where he was responsible for each of the diagnostic modalities including diagnostic radiology, ultrasound, and CT in both small and large animals. Dr Makara has also completed externships at the University of Bern and University of Wisconsin in order to gain additional skills in MRI and Nuclear Medicine. Since January 2011 he has served as an Associate Professor at St. George’s University. 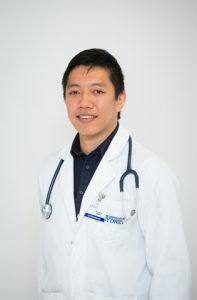 His research interests have centred around computed tomography angiography, and he has completed research projects in thoracic computed tomography angiography contrast medium injection technique and use in diagnosis of infections with Angiostrongylus vasorum in dogs. Jennifer Chau graduated from vet school at the University of Sydney in 2007. 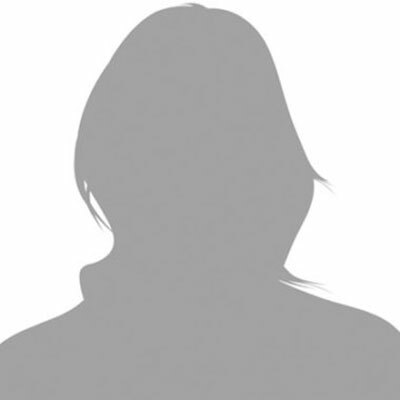 She spent 3 years in private practice and developed an interest in ultrasound. Jennifer went onto obtain a Postgraduate Diploma in Veterinary Clinical Studies during her internship at the University Veterinary Teaching Hospital Sydney. This led to a 3-year Masters degree and residency program in Veterinary Diagnostic Imaging. Jennifer obtained Fellowship to the Veterinary Radiology Chapter of the ANZCVS in 2017. Her current PhD topic is on hepatobiliary imaging using contrast enhanced computed tomography. Jennifer enjoys working in a veterinary teaching hospital and helping undergraduate veterinary students to achieve their learning goals. She also appreciates the opportunity to be amongst other experts in the field to engage in a multi-disciplinary approach to veterinary science. Juan graduated with a Bachelor of Veterinary Medicine in 1999 from La Plata University, Argentina. In 2002, after spending some time practicing in Argentina, Juan was granted an scholarship program to work and further develop in Australia. In 2006 Juan fulfilled all requirements and passed the national veterinary examination allowing him to practice in Australia. 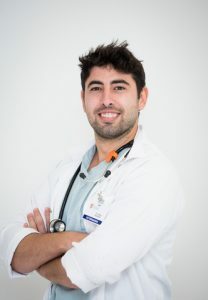 Juan underwent a Radiology residency at the University of Sydney and became a Fellow of the Australian and New Zealand College of Veterinary Scientists in 2015. 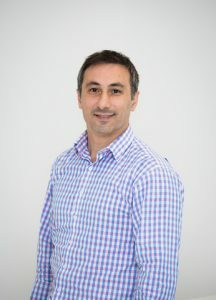 Juan is currently an active clinical radiologist providing services to private and academic institutions and pre and postgraduate teaching in veterinary diagnostic imaging at Sydney University. 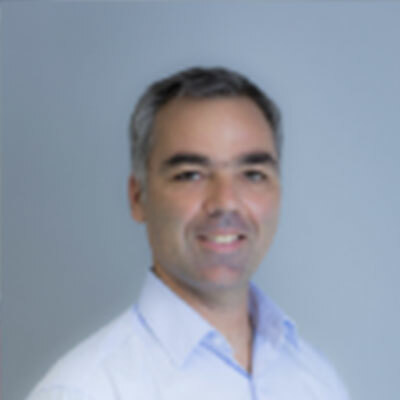 Juan has trained in MRI physics and technical applications during 2006-2007. 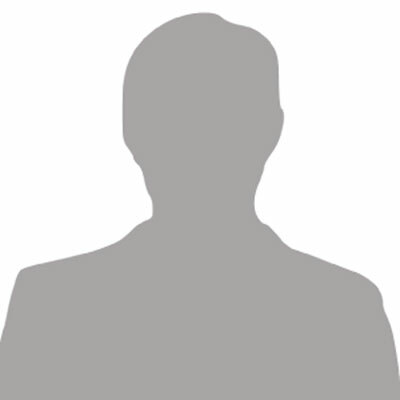 In 2008-2009 he underwent accredited training in nuclear medicine and radiophysics with the Royal North Shore Hospital. Juan is actively involved in clinical and academic research. His areas of interest included all aspects of musculoskeletal imaging, magnetic resonance imaging (MRI) and nuclear medicine. 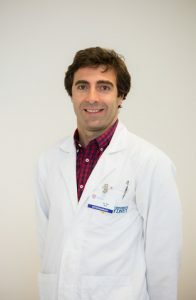 Juan has been involved in a number of publications associated with the application of MRI to improve planning and identification of musculoskeletal injury in canine and equine patients, abdomen angiography and use of nuclear medicine for skeletal disease in canine patients. Jo graduated from The University of Sydney in 2007 with a Bachelor of Veterinary Science. After graduation, Jo worked in small animal private practice and with the RSPCA before travelling overseas to locum in the United Kingdom. 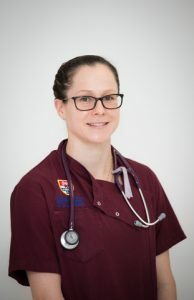 Jo returned to the UVTHS to complete a small animal rotating internship and has since gained membership to the Australian College of Veterinary Science in small animal medicine and small animal radiology. Jo continued developing her skills and interest in diagnostic imaging whilst working as a private practice emergency clinician and with the UVTHS imaging department prior to commencing her residency and clinical Master’s degree in 2015. 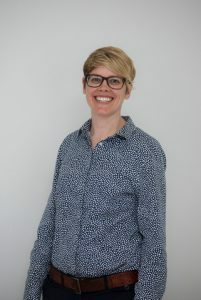 Jo’s is interested in all aspects of diagnostic imaging, particularly cross sectional imaging and is currently working on a research project involving contrast CT and biliary disease in cats. A native of Western Australia, Tim has already achieved Australian Membership status in radiology and has a thirst for knowledge and all things radiology. Trained as a classical musician, Tim is meticulous and thorough in his approach to imaging and we look forward to working with him more as he grows into a budding radiologist. Tim is particularly interested in thoracic imaging and respiratory disease. Michelle graduated from the University of Sydney in 2015. She completed a rotating internship at Queensland Vet Specialists//Pet Emergency in Brisbane. 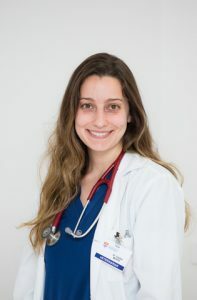 She then started a rotating internship at the University Veterinary Teaching Hospital Sydney before starting her diagnostic imaging residency. 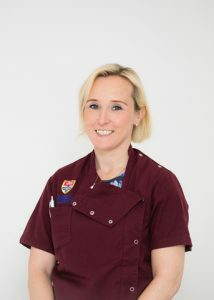 Michelle is interested in all aspects of diagnostic imaging, particularly ultrasound and computed tomography and is currently working on a research project involving ventilated post mortem computed tomography in dogs and cats. In her spare time, Michelle enjoys spending time with her adorable fur-child, Rocky. Helen has been employed by the Sydney University for the last twenty years. Her prior training covers St Vincent’s Hospital and several years spent at the St George Hospital. 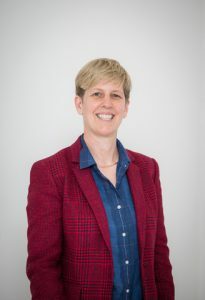 Helen is involved in teaching both, undergraduate and postgraduate students in diagnostic imaging. 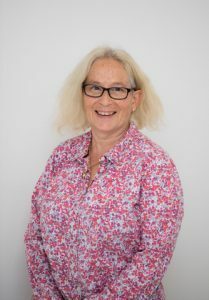 Helen is largely responsible for the radiography and fluoroscopy of both clinical and research cases; as well as quality control of images. Dr. Niek Beijerink graduated with a veterinary degree from Utrecht University in The Netherlands. He completed a PhD in 2007 and a residency in Small Animal Cardiology in 2010. He is a Diplomate of the European College of Veterinary Internal Medicine (Cardiology). 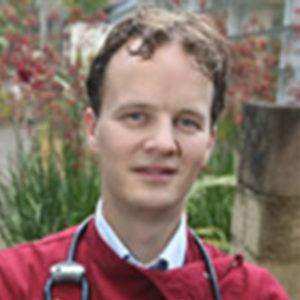 In 2011, Niek commenced working as a full-time clinical Specialist in Small Animal Cardiology at Sydney University and is responsible for the clinical service and teaching in this area. Some of his active research interests are heart failure genetics and therapy, and cardiac CT imaging. Since June 2018 Niek moved back to The Netherlands, he continues to work on his research project and teaching (He also reviews and advises on case management and treatment of each UVTHS cardiology case. He will also) be visiting the UVTHS several times per year. 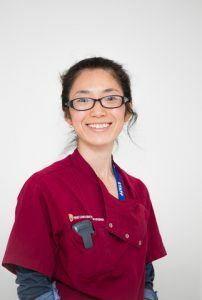 Mariko graduated from the University of Sydney with first class honours in 2007 and began working in a small animal general practice in Canberra. Since moving back to Sydney in 2009, she worked as an emergency and critical care veterinarian at referral clinics across Sydney. 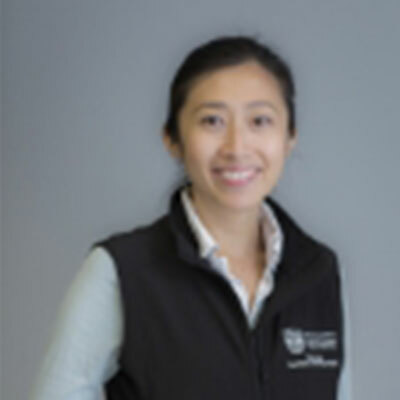 Mariko completed a rotating internship at the Small Animal Specialist Hospital in 2011 and subsequently obtained her membership in small animal medicine with the Australian and New Zealand College of Veterinary Scientists. She has an interest in the field of veterinary cardiology and, in 2013, commenced a PhD investigating therapeutics of canine and feline congestive heart failure under the supervision of Dr Niek Beijerink. 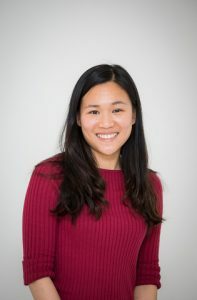 Throughout Mariko’s PhD candidature, she has also worked with Dr Niek Beijerink in the cardiology service at the UVTHS. Peter is a graduate of the University of Melbourne. After a period working in general practice, he undertook training in small animal medicine via a non-traditional route. His training was undertaken at Massey University, the University of Melbourne, the University of Tennessee and the University of Georgia. He then attained Fellowship status from the Australia and New Zealand College of Veterinary Scientists as well as Diplomate status from the American College of Veterinary Internal Medicine. Peter then moved to Purdue University in Indiana as a clinical instructor and in his time there attained his speciality qualification in Oncology. On his return to Australia, Peter was one of the founding specialists of the Melbourne Veterinary Specialist Centre. He has been involved in training residents in both Small Animal Internal Medicine and Veterinary Oncology. He is a tutor for the Centre for Veterinary Education at the University of Sydney as well as for the Masters of Veterinary Medicine program at Massey University. Peter has moved to the University of Sydney to establish a comparative oncology program. To help establish collaborative research he has a part time appointment at the NHMRC clinical trials centre. Peter is an established author in the veterinary literature and presents at national and international meetings as an invited speaker. Peter’s main interest is in advancing the compassionate care of pets with cancer and to improve their quality of life for as long as possible. Katrina graduated from the University of Sydney in 2011. 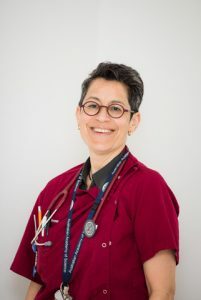 She started working in a busy small animal general practice in Hong Kong and subsequently worked as an emergency and critical care veterinarian at referral hospitals in Perth, Melbourne and Sydney. She completed a rotating internship at a private referral hospital in Melbourne focusing on medical and surgical oncology. She attained Membership of the Small Animal Radiology Chapter of the Australian and New Zealand College of Veterinary Scientists in 2015. Her strong interest in oncology brought her back to UVTHS to undertake residency training under the supervision of Dr Peter Bennett. Katrina is interested in all aspects of oncology, particularly in lymphoma and palliative treatment. She is also currently undertaking research investigating the genetic aspect of lymphoma in Australian Border Collies. Georgina is a graduate of the University of Sydney(1980). After2 years in general practice in Perth and the UK she completed residency training in the specialty of neurology (and neurosurgery) at the Veterinary Medical Teaching Hospital, University of California Davisin 1985 and became a diplomate of the American College of Veterinary Internal Medicine in the specialty of neurology in 1987. She was a research associate in the Department of Clinical Studies and Biological Sciences, Colorado State University untilshe returned with her family to Australia and has been consultingin specialist practice in Sydney since 1995. 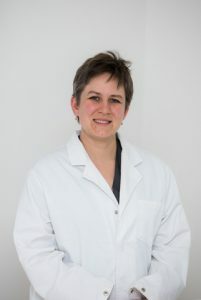 Georgina has been a consultant specialist at the University Veterinary Teaching Hospital, Sydney and a lecturer in small animal medicine since 2008. Georginagives regular presentations to veterinarians as part of continuing education programs throughout Australia , mentorsstudents, interns and residents in small animal practice and provides advice to many general practitionerswith the aim of helping them provide better information to owners regarding diagnostic and treatmentoptions for companion animals with neurologic disorders. Having graduated from The University of Sydney in 1989 he established Camden Valley Animal Hospitals soon after. He has a keen interest in Animal Behaviour, completing further study in 2008. He is the immediate past president of the Australian Veterinary Behaviour Interest Group and has organised many Veterinary Behaviour Groups as well as presenting in Australia and overseas. He is also currently serving on the Pet Advisory Board for Camden Council which is aimed at improving the lives of pets in the community and raising awareness of responsible pet ownership. In July 2013 he established the animal behaviour service at the University of Sydney Veterinary Teaching Hospital which has been very successful. He is the proud owner of 2 German Shorthair Pointers, 1 Burmese and 1 very talkative Cockatoo. Dr Erin Mooney graduated with honours from the University of Sydney in 2007. Following graduation she undertook an internship in small animal medicine and surgery at a referral hospital in Connecticut, USA. This was followed by a residency in small animal emergency and critical care (E/CC) at Tufts University in Massachusetts, a world-leading centre for E/CC training and clinical research. Erin became a Diplomate of the American College of Veterinary Emergency and Critical Care in 2012. Following stints at the University of Melbourne and the Small Animal Specialist Hospital, Erin is thrilled to be back in academia and at her alma mater – it feels like coming home! Erin’s clinical interests lie in pulmonary disease, mechanical ventilation, trauma, transfusion medicine, and peri-operative care. Mara graduated from the University of Wisconsin in 2008. Following completion of a residency in emergency and critical care in Los Angeles, she moved to Australia to join the University of Sydney. Mara became a Diplomate of the American College of Veterinary Emergency and Critical Care in 2016. She has published articles on septic peritonitis, renal thromboembolism and cardiac disease, and toxicity associated with a urinary acidifier. Mara’s interests include trauma, electrolyte and acid-base disturbances, respiratory emergencies, and systemic inflammatory response syndrome. She has a goal of conducting clinical studies which will directly help private practitioners provide excellent care for emergency patients. Sophia graduated from the University of Sydney in 2013. Sophia started work as a small animal veterinarian in a busy clinic in Western Sydney where she developed an interest in Emergency Medicine and Critical Care. 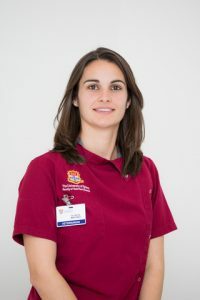 After completing a rotating internship at the University Veterinary Teaching Hospital in 2017, Sophia started her training as a resident in Emergency and Critical Care medicine in 2018 under the supervision of Dr Erin Mooney and Dr Mara Hickey. Sophia’s areas of interest include shock, sepsis and transfusion medicine. Sophia has a very mischievous, overfed little cat called Omar. Jeff graduated from Sydney University in 1970 and after 3 years in general practice completed a residency in Veterinary and Comparative Ophthalmology at Cornell University and was granted Diplomate status of the American College of Veterinary Ophthalmologists in 1977. Returning to Australia in 1978 Jeff gained Membership of the Australian College of Veterinary Scientists in Canine Medicine and in 1983 become a Fellow of the ACVSc in Veterinary Ophthalmology. Jeff currently provides lectures and tutorials for students at Sydney University in ophthalmic medicine, surgery and pathology as well as providing specialist ophthalmology services to small, large and exotic animals in Sydney and regional areas of NSW. Cameron graduated from Sydney University in 1989. After spending time in mixed animal practice he completed an internship at Sydney University in 1992 and the following year commenced a residency in Veterinary Ophthalmology at the University of Florida and was granted Diplomate status of the American College of Veterinary Ophthalmologists in 1996. He then worked at the Ohio State University as a visiting Assistant Professor before returning to Australia in 1997 to join Eye Clinic for Animals and providing specialist ophthalmology services to both small and large animals in Sydney and regional areas of NSW. Cameron also has served the NSW Division of the AVA and currently provides medicine and surgery lectures and practical sessions to Sydney University students. Kelly graduated from the University of Pennsylvania with a Doctorate of Veterinary Medicine in 1997 after completing a Bachelor of Science in Biology from St Joseph’s University in Philadelphia. She then completed internships in Equine Medicine and Surgery, Small Animal Medicine and Surgery, Ophthalmology and Emergency Medicine and Critical Care. Kelly then completed a residency under the tutelage of Professor Seth Koch – one of the founding members of the American College of Veterinary Ophthalmologists – and was granted Membership of that body in 2007. Is Your Dog a Lifesaver? Blood donation saves dogs’ lives, and you can receive $100 to spend on merchandise or food!